The GreenBuild Duplex has been in development since 2014, first as a student competition project, then a research and education project, and finally as a true construction project. The GreenBuild duplex is a result of much community participation and collaboration. The Energy Efficient Housing Research Group facilitated multiple design charrettes throughout 2015 trying to engage the State College Community Land Trust, students and faculty of Penn State, and homeowners in the Centre Region with the project and learn more about what people expect from their homes. We wanted this home to be a product of the community and something to show the Centre Region’s commitment to high-performance home and sustainable design. 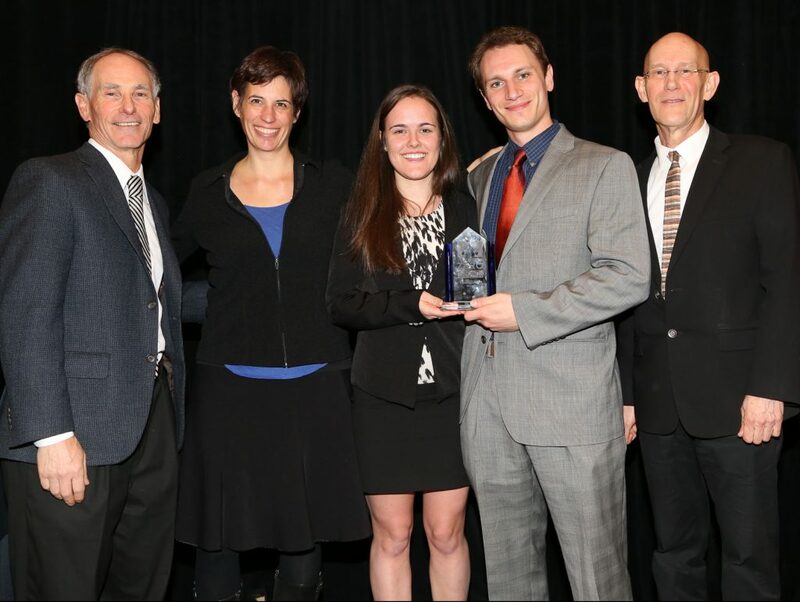 In 2015, students from across multiple disciplines at Penn State participated in the Department of Energy’s Race to Zero design competition. In this annual design competition, students must research, design, and document a zero-energy ready home that is both affordable and constructable within their local context. For the 2015 competition, the students chose to use the GreenBuild duplex as the site and context for their design. The team; Heritage Homes: High Performance Living in Harmony with Community developed the project goals and designed the homes balancing the needs of the State College Community Land Trust, the outcomes of the community design charrettes, and the requirements for the Race to Zero competition. 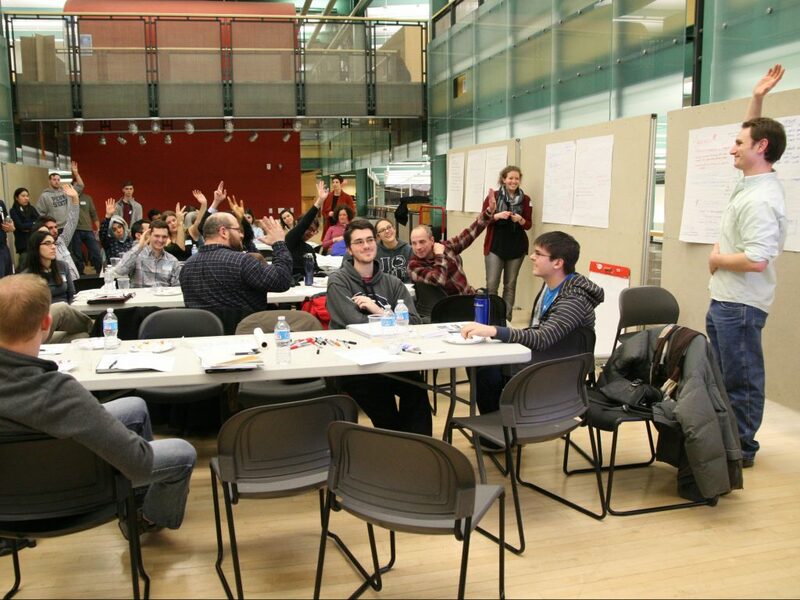 In April of 2015, two members of the team presented the design to a jury of building industry leaders at the National Renewable Energy Laboratory in Golden, CO where they won numerous awards including two for Design Excellence and Systems Integration. Following the competition, EEHR continued to work with the SCCLT to further develop the design of the GreenBuild duplex. In the Fall of 2016, the SCCLT posted a public Request for Proposals for design/build services for the GreenBuild duplex. Envinity Inc, a local high-performance design/build company, won the bid for the project. The team, partnered with Doug Henry Architecture, used the set of design drawings and reports produced by EEHR and the 2015 Race to Zero team to make slight modifications to the duplex and produce a set of final construction documents. 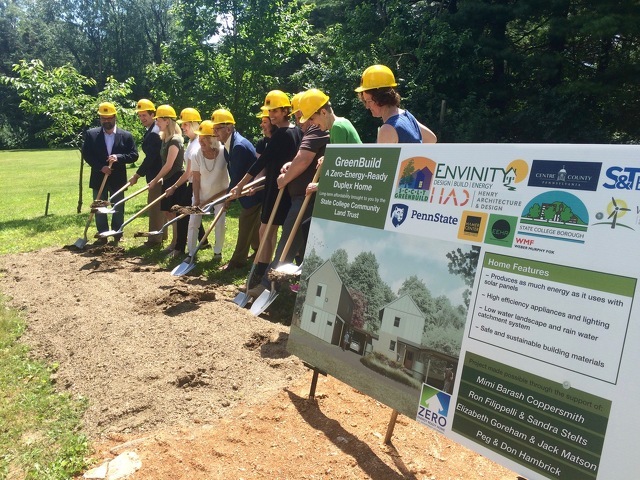 Thanks to community donations and a very generous loan and grant from the West Penn Power Sustainability Energy Fund, the duplex broke ground in June, 2017, and construction is expected to finish by May 2018. Rendering of the final homes designed by Envinity Inc. This page will be updated regularly to show and explain the construction process for the GreenBuild Duplex at 1394 University Drive. 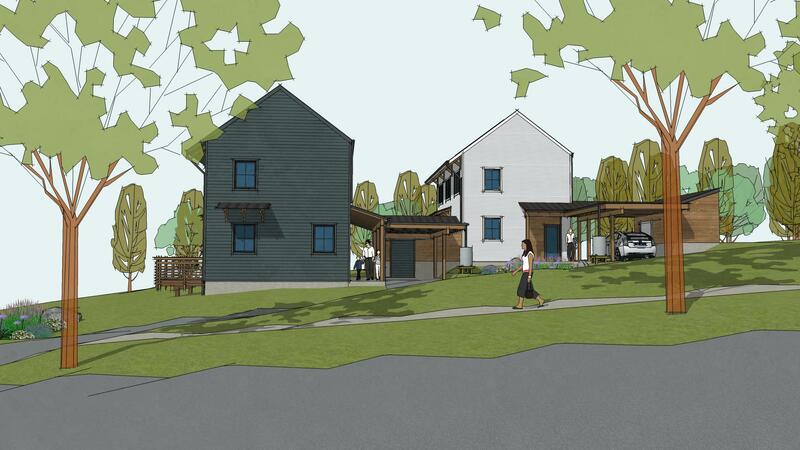 The project, collaboratively designed between EEHR and the State College Community Land Trust, is a net zero-energy duplex that is both energy efficient and affordable.